JOINT SECURITY AREA, South Korea - A 2.5-mile-wide section of seemingly undisturbed wilderness forms a narrow corridor about 160-miles long across the Korean peninsula. Wildlife is in abundance and the vegetation is thick and unkempt. This eerily-quiet plot of land could be easily mistaken for a national park or wildlife preserve - were it not for the armed guards and checkpoints dotting the landscape from end to end. 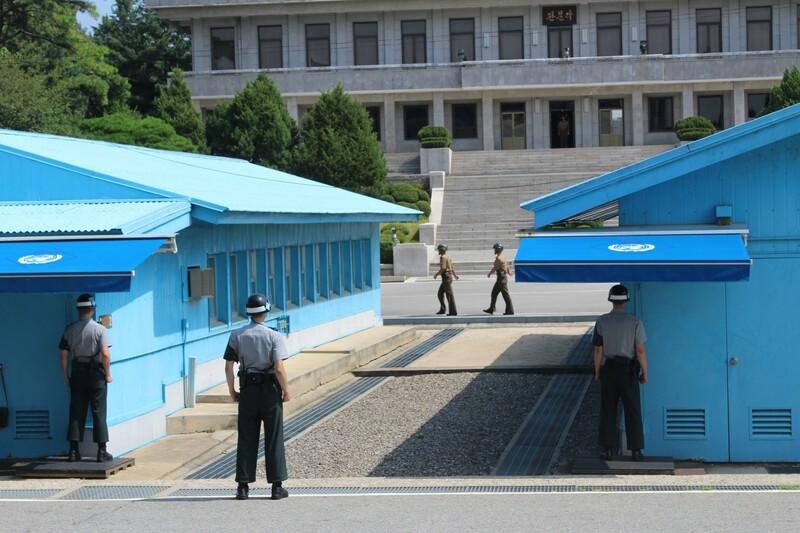 This is the Korean Demilitarized Zone, or DMZ, that has separated North and South Korea since an armistice paused the Korean War in 1953. 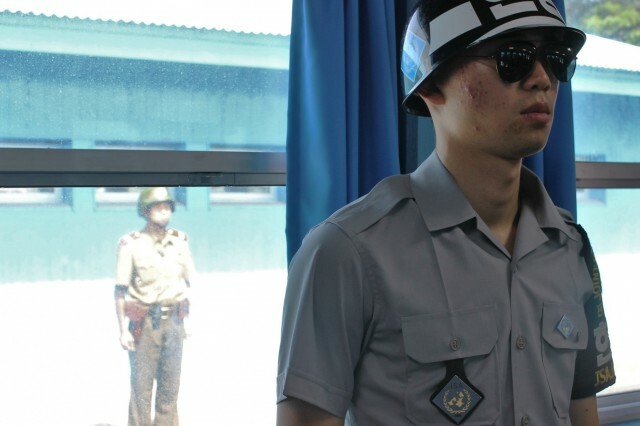 To this day, the DMZ is one of the most heavily fortified borders in the world where a coalition of U.S, South Korean, and United Nations troops still stand guard. 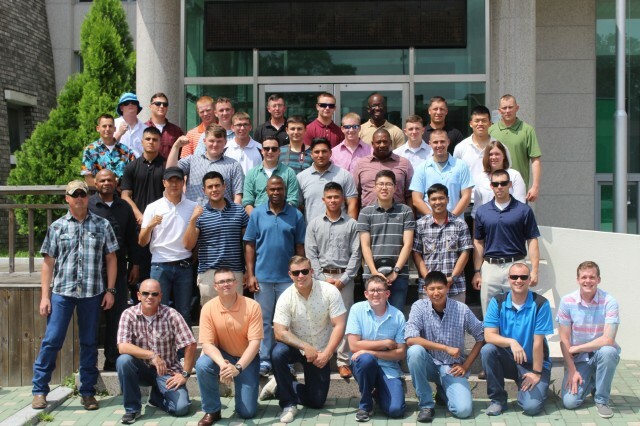 Soldiers from the 2nd Battalion, 8th Cavalry Regiment "Stallions," 1st Armored Brigade Combat Team, 1st Cavalry Division, from Fort Hood, Texas, serving a nine-month rotation in South Korea, got the opportunity to learn more about why they are in South Korea during a tour of the DMZ Aug. 16. For the majority of Stallion Soldiers on the tour, it was their first time seeing this divisive international boundary. c-wire and guard posts all over the place, was definitely an interesting experience," said Pfc. Amber Jackson, an intelligence analyst in Headquarters and Headquarters Company, 2nd Bn., 8th Cav. Reg. Jackson was not the only person that appreciated the difference between what one might read in the news or see on television about tensions on the DMZ lingering from the Korean War, and what that actually looks like on the ground. Staff Sgt. Matthew Janis, the battalion's electromagnetic spectrum manager, has been on multiple DMZ trips during his previous tours on the peninsula and is still impressed with how real the experience makes our current operations. "It's like going to the battlefields at Gettysburg or Bastogne after the Battle of the Bulge and being able to see where that war line was actually drawn," said Janis. "You can't help but try to imagine what some of our uncles and grandparents had to endure during the war here." Today, this former battlefield is still heavily guarded, but also functions as a tourist attraction and education center for the Korean War. Visitors are able to learn about how diplomatic relations between North and South Korea play out over the Military Demarcation Line (MDL) in the middle of the DMZ, and to see some of the main points of interest, such as the "Bridge of No Return" along the MDL. "The Bridge of No Return got its name from the exchange of POWs at the end of the war over this bridge in the DMZ," said Spc. Timothy Sharrock, an infantryman with Co. A, 2nd Bn., 8th Cav. Reg. "Koreans were allowed to choose which country they wanted to live in, but once they made that choice they could never go back." Locations such as "Checkpoint 3," which overlooks the Bridge of No Return, and "Conference Row," the blue buildings in the Joint Security Area where negotiations between the two Koreas normally take place, offered a solemn view of how relations between the two countries play out today. 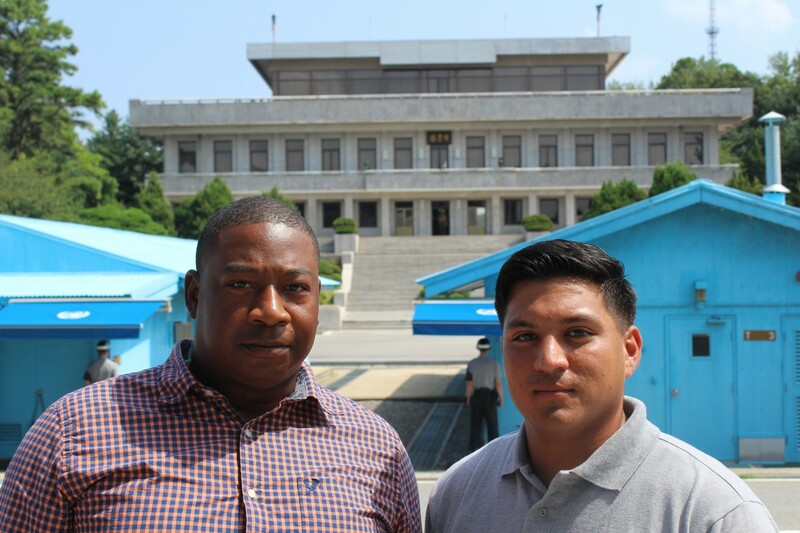 "You hear stories of North and South Korean Soldiers facing off across the border all the time in the media, but you never get to see them really staring each other down until you visit Conference Row at the DMZ," said Janis. While this trip was exciting and undoubtedly added some cool photos to their social media accounts, these Stallions also better understand the Army's role here in Korea. "Working in the staff section makes you realize how important our presence here is from a logistics standpoint, how tense the situation still is, and how operationally and physically close we are to all of it," said Janis. 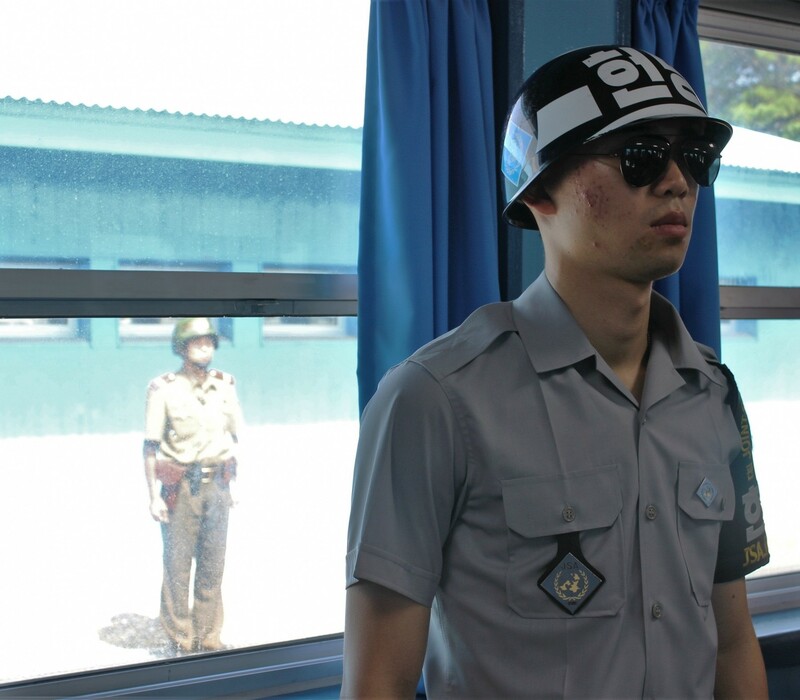 The security situation in the peninsula, discussed often in world news, can seem far away to Soldiers serving in the peninsula, but the tour makes the mission, and the history, more tangible. 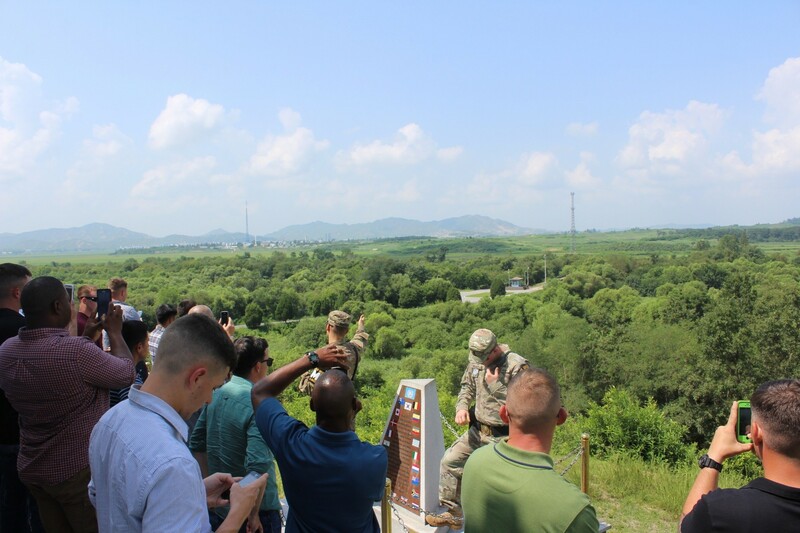 "Seeing the DMZ up close put a face to what we've been doing here and to the mission statement that we all read plenty of times," said Sharrock. "It made history a lot more personal for me."